Spacious, Country Cottage with mountain views. Property 13: Spacious, Country Cottage with mountain views. Methven Lodge - A home away from home! 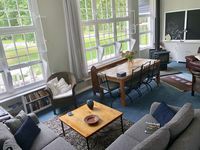 Property 20: Methven Lodge - A home away from home! Exactly what we wanted, lovely accommodation, fire going on arrival as we were late. 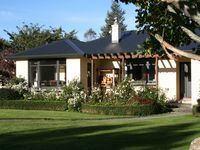 Great outdoor space with manicured gardens, decks, rural views and Mt Somers. Very nice discrete host. A great place to do something or nothing.